Located within the original square mile platted by Gra nd Junction’s founder, George A. Crawford, Handy Chapel was built in 1892 on land deeded to the “black citizens of Grand Junction” in 1883. 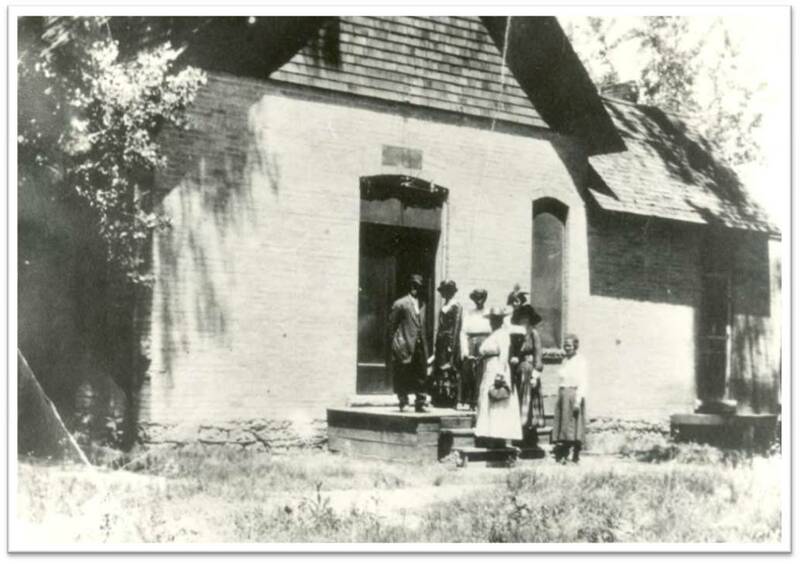 The intervening nine years were required to undertake a campaign to raise the $962.50 necessary to construct the church building, a testament to the scarcity of funds available but also to the tenacity of a small group of African Americans in 19th-century Colorado who dreamed of having their own place of worship. Handy Chapel stands today as the only original church building in Grand Junction built on the original lots in the original square mile town site, and was added to the National Register of Historic Places in 1994. While simple in architectural style, Handy Chapel and the adjacent Chapel House (built in the 1920s) served a grander purpose over the last 120 years, before desegregation welcoming visitors and homeless families of all races who could not find lodging a safe, warm place to get back on their feet. When listed on the endangered places, a dwindling congregation and shortage of funds had made all but the most critical maintenance needs impossible. The roof of the Chapel House had failed with only a temporary tarp in place to prevent additional damage to the building. Windows and doors were boarded up, preventing the Chapel House from fulfilling a mission as a place of rest and recovery for the destitute. The Chapel was not in compliance with the Americans with Disabilities Act and the floor in the living quarters portion of the building failed to the point that use of space by the congregation was difficult. In the fall of 2012 construction work started on the chapel based on a preservation design prepared by Chamberlin Architects and construction was ultimately completed in the spring of 2013. As in many preservation projects many unforeseen conditions were discovered in the historic structure during the course of construction that created challenges for the contractor and design team. One example that required close collaboration with Colorado Preservation, Inc. and History Colorado, was to resolve appropriate restoration of the 1920s chapel addition. The addition appeared to have been built by the congregation, probably with very limited funds, and over the years it had deteriorated significantly. When the layers of newer materials were removed it was discovered that the underlying masonry was unsound and close to collapsing. It was decided that the best approach was to reconstruct the addition while preserving as much of the original material as possible. In the end the historic integrity of the building was preserved while providing a more energy efficient and structural sound building. In corporation with HistoricCorps, local preservationists, and a team of volunteers, the Endangered Places Program held the annual Weekend Workshop at Handy Chapel in 2011 and over the course of one week replaced the cedar shingle roof. Colorado Preservation, Inc. staff assisted with writing multiple grants to fund the nearly $300,000 rehabilitation of the chapel.